Back in August writer Leslie Streeter posted this on Facebook. 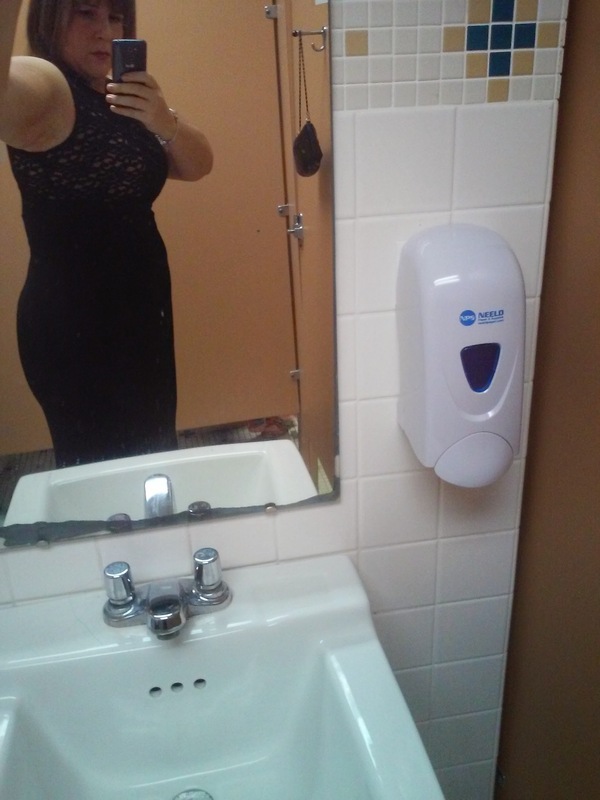 So my sister Lynne Streeter Childress, who like me is trying to streamline her fitness and body and whatnot, decided that she is not giving into the insecurity that makes less than svelte women think they need to wear giant T-shirts to the gym, that make them look even blockier. So she challenged me ‪#‎nomorebigtshirts‬. Here is my less-than-svelte photo yesterday at CrossFit CityPlace. 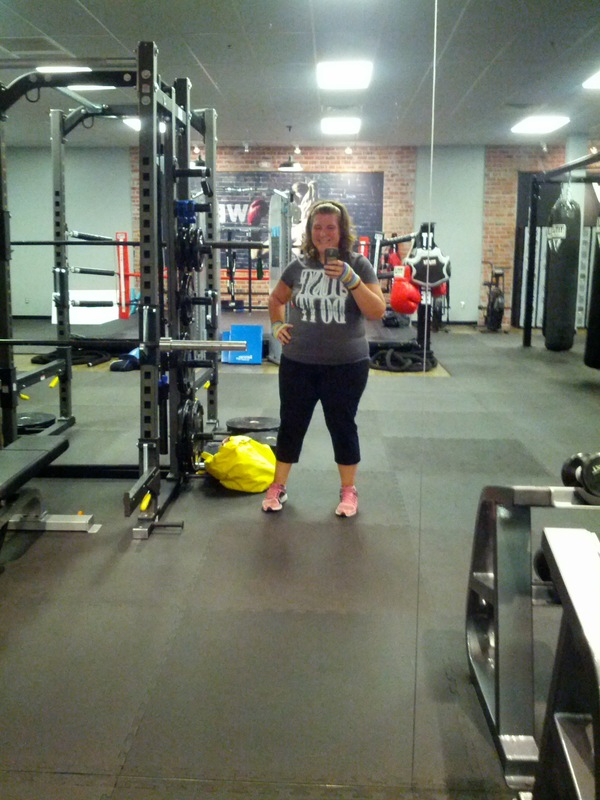 Ladies and gents – I wanna see your gym shots without the giant T-shirts. Please post them here or at the The Sweet Midlife with Lynne and Leslie page (which you should like). Be fit. But be you. ..
She posted it with a “less-than-svelt” picture of her wearing fitted workout clothes instead of frumpy clothes. It completely resonated with me and the picture above is probably one of the only “selfies” I have ever taken for the sole purpose to be posted publically. 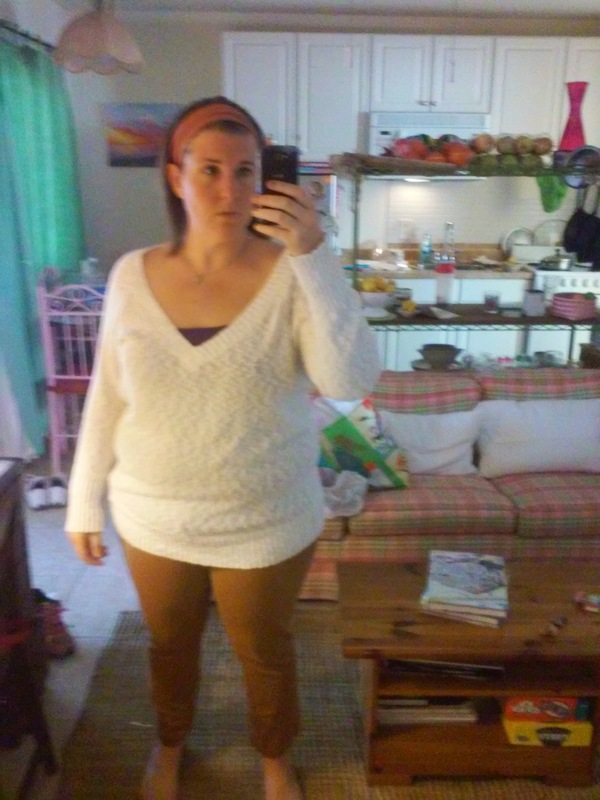 See, I’ve been working to slay the frump monster since about June. I liked my frumpy clothes. They were comfortable, and cozy, and free. My whole life I have used clothes to hide or blend in. I never had “style”. I was ok if clothes just fit. And by fit I mean covered me completely. But as I was losing weight, I developed a serious problem. 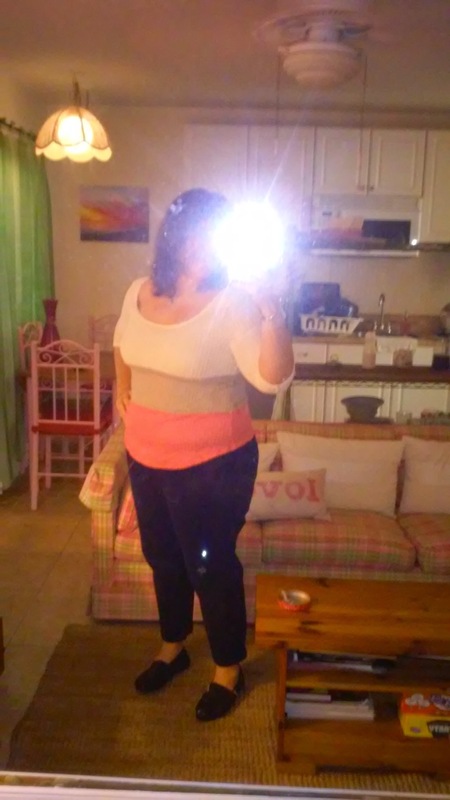 As I was shrinking, and my clothes weren’t, I couldn’t actually see that I was losing weight…..Yes, seriously. My Danne is a godsend. Honest. If it wasn’t for her I don’t know how patterns or colors or clothes that actually flatter me would have ever ended up on my body. We are the complete opposites. Though she has never been petite, she has never been unstylish! She’s one of those girls you see on Pinterest where they have the little outfits and the pictures and such. 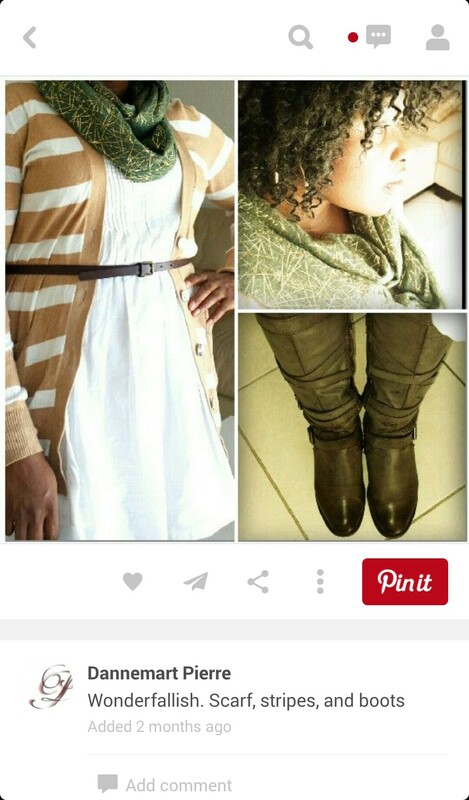 I mean it – she is literally on Pinterest with her outfits! I don’t even wear a belt when my pants are falling down! And there she is with a belt to match the boots! Add a sweater and a scarf to a summer dress and all of a sudden she coined the term “wonderfallish”. After some much needed tough love from her regarding my frumpy monster ways, I bagged up and gave away all of the clothes that did not fit me correctly. Except jammies. I had been wearing scrubs at work for almost a year and I switched jobs and needed real clothes again! So, I went shopping for clothes that did fit me properly. It was horrible! I went by myself (even though my nearest and dearest offered several times to go with me), I cried in the dressing rooms, I broke into hives, and all of a sudden I was in middle school again. I was actually having panic attacks….shopping for clothes. I found pants that fit me and flattered me, so I bought one in navy blue, one in khaki, and one in black. Then I just bought bunches of shirts. 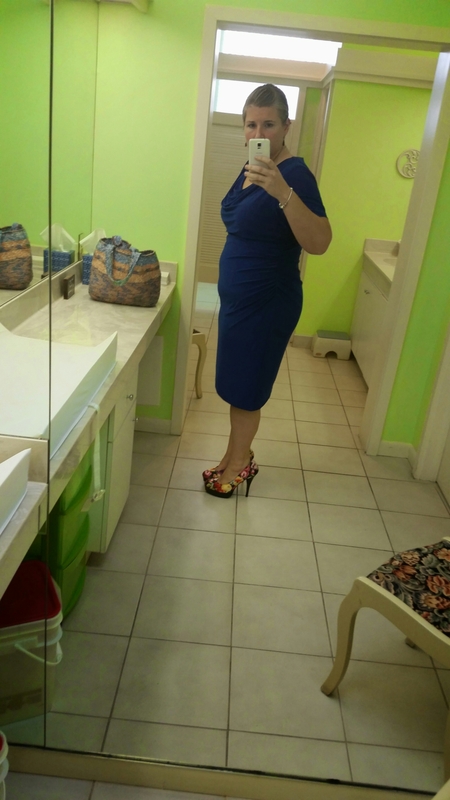 I wasn’t quite convinced about this whole “clothes not being frumpy thing” , so there were many mornings where Danne would get a selfie, and I would wait for her stamp of approval. When it comes to getting ready for a special occasion, I now actually get excited to look my best. Mostly because of the process leading up to that point. The process is this: We go to the store, Danne finds everything and anything that is in my size (or a size smaller). If she thinks (or I tell her) I would never wear it, she makes me try it on. I refuse to come out of the fitting room. We banter back and forth. I usually end up giving in and buying the dress that she recommends. Then, when I get to the event I do what every self-respecting woman would do…. I send her “selfies”…. taken in a bathroom. Thankfully for all involved, the process is getting smoother and shorter. I am learning that I look better when I feel better and I feel better when I look better. It’s hard to appreciate curves I spent my whole life hiding. Don’t get too excited though, you probably won’t be seeing any more selfies anytime soon.